1Enter your start and destination address, date and time, select your car. 2We will review and inform you whether or not the booking has been confirmed. 3When your booking confirmed, you will receive the payment PIN via e-mail and make a payment. 4Once a chauffeur and vehicle has been allocated to the booking you will be sent an SMS with the chauffeur details. 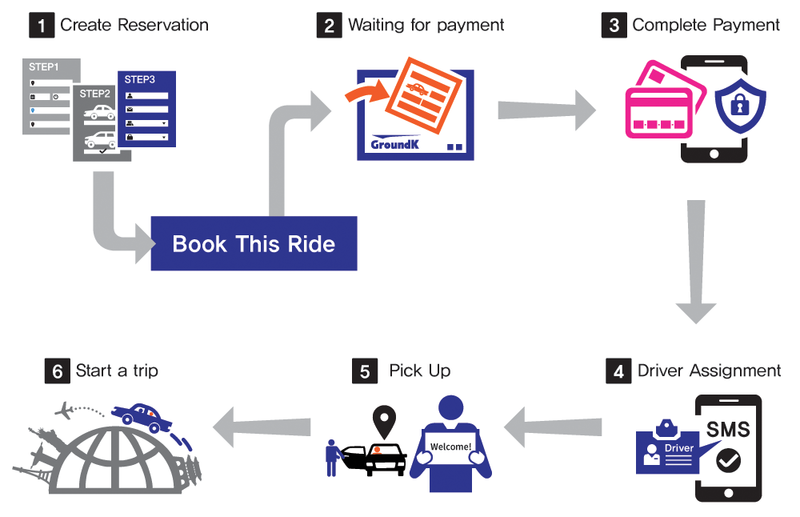 5Our GroundK driver picks you up at the given location and time. 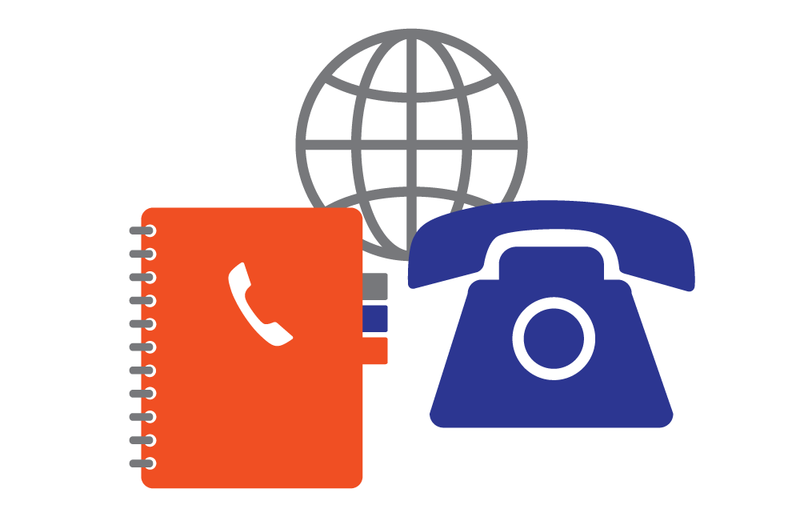 • Once you receive your booking reference number you can manage your bookings through our website or by calling our office at +82 2 863 3540. • Changes to bookings are generally treated as new bookings. • Changes or cancellations must be made at least 24 hours prior to scheduled pick up time to avoid fees. 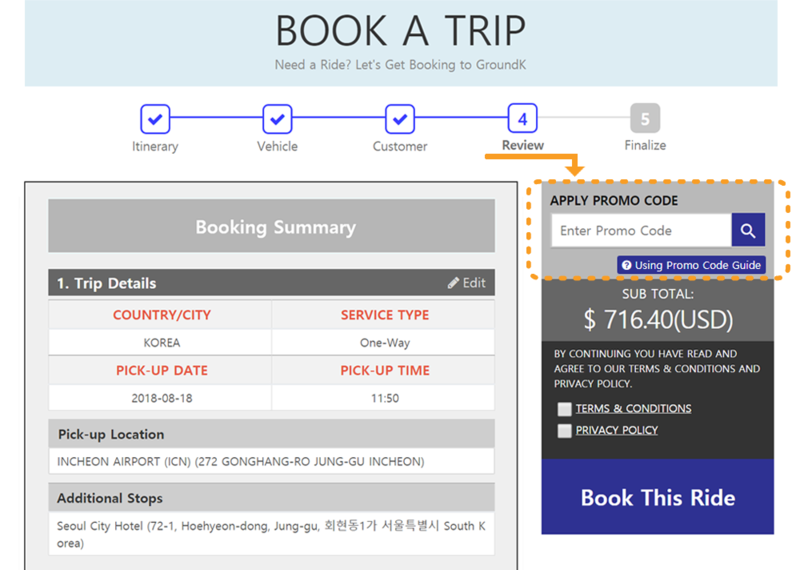 You may receive discounted rates by applying your GroundK coupon during the reservation process. 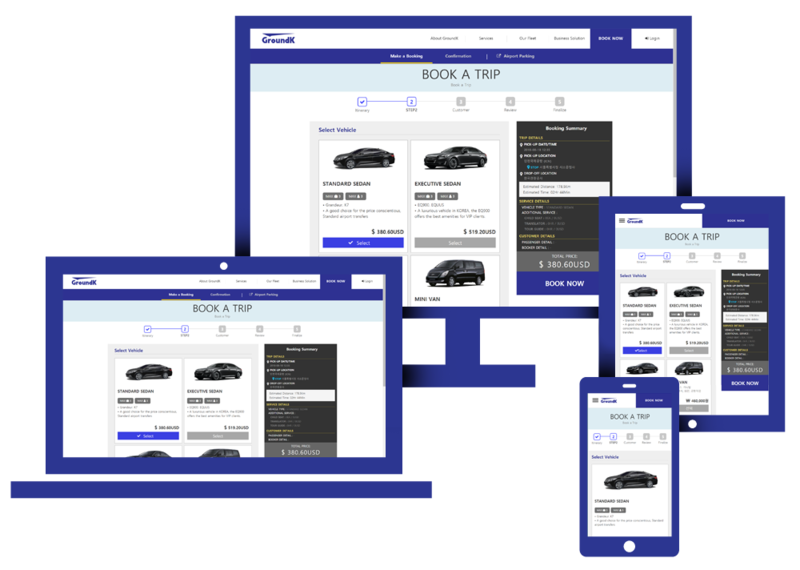 • This can be done at the final step of the booking process, on the Step 4 page. 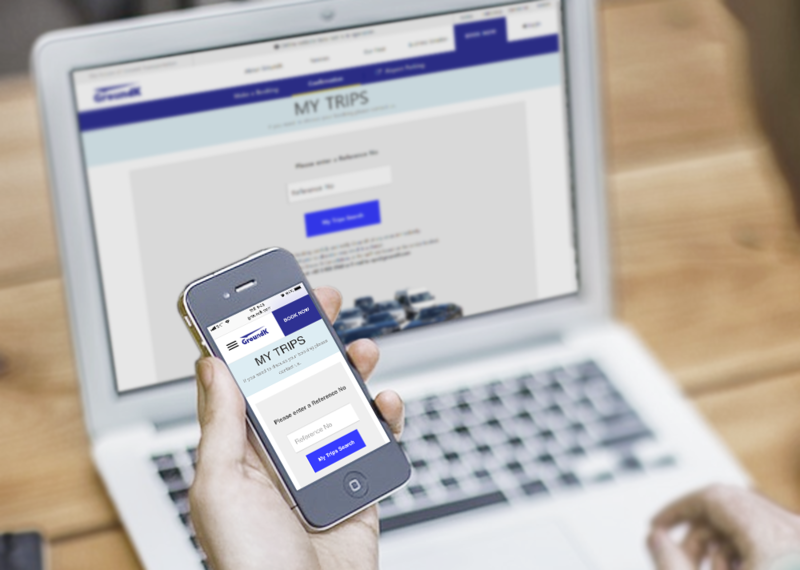 Before you click on “Book This Ride” on the Step 4, simply select Promo CODE, enter your voucher code in the designated space and click CHECK. • The final price will be adjusted accordingly. • Coupon discounts are available through GroundK partner benefits and a variety of GroundK promotions. • Only one coupon that offers the highest discount rate can be redeemed per reservation. Multiple discounts are not applied. GroundK supports a multiple of devices. • Google Chrome is recommended if you are using GroundK on your PC or laptop. • IE (Internet Explorer) 10 earlier is not supported for security and smooth service.